As an affiliate network, you are at the heart of an intensive & dynamic triangular partnership. Our account managers, technical consultants, industry experts, sales managers, the marketing team, etc. have regular, or even daily, contact with our partners. But who are those Awin people behind that phone call or email conversation actually? In our interview series 'In good company with Awin' we want to give a face to colleagues who work for our advertisers, publishers and our network every day. After all, without these ambitious, hard-working colleagues, Awin would not exist. Plus, every single one of them is great fun, of course! That is why we want to use a series of interviews to introduce you to some of the driving forces behind Awin Benelux. Who are they? And what are they busy with at the moment? With a few questions we try to give you a little insight into the person by, among others, exposing their current focus points and near future expectations. 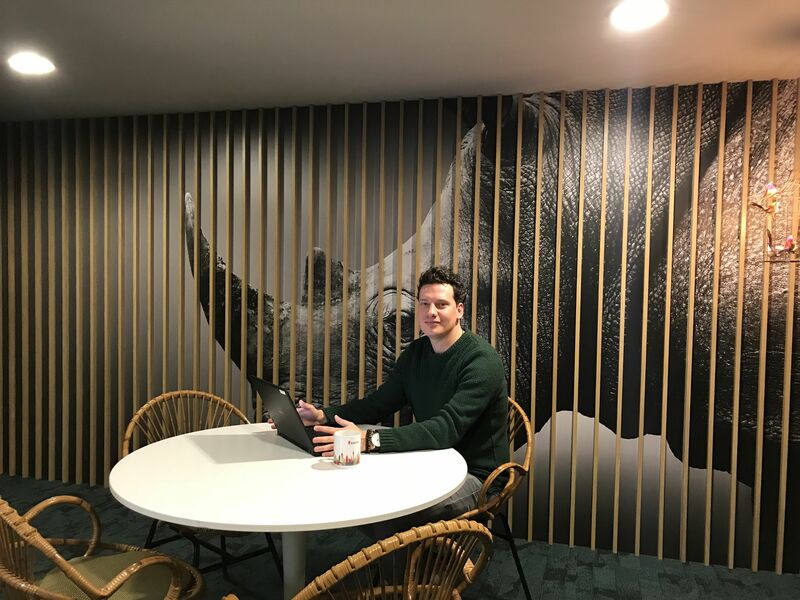 This week it's up to senior accountmanager & Industry lead Finance Daniel van de Braak to share a little bit about himself and his role at Awin. Would you like to introduce yourself to the readers? Who are you and what makes your role within Awin special? My name is Daniel van de Braak, 30 years and have been with Awin over 4.5 years and I have taken on the role of Senior account manager in the Key account team since the start of the year, being responsible for the Achmea group and Takeaway. What motivates me in my role is the fact that with a good affiliate marking campaign you can contribute to the overall online marketing goals of brands like Centraal Beheer, FBTO and Zilveren Kruis. Next to this I have started in February as Industry lead Finance, where I am responsible for the finance portfolio for the Dutch and Belgium market. My primary task as industry lead is knowledge sharing, for example by creating the first ever Finance report. In this report, that is published twice year, we highlight one topics within the wider finance segment and share our knowledge and expertise by interviews, data insights and share our learnings regarding the similarities and differences between the Dutch and the Belgium market. And of course we share our tips and tricks how to optimize your revenue with the different Awin tools and opportunities. Can you mention something you achieved at Awin that you're very proud of? What do you consider to be your biggest Awin success? After working for 3 years as an account manager with a exclusive portfolio of finance clients, I have made the step to Industry lead Finance for the Benelux market and I am quite proud of this accomplishment. With my unique experience within Awin, on both the publisher as the advertiser side, my new role allows me to share my knowledge and consult our finance client to realize new partnerships, growth their program and set up new innovative campaigns. A new role rarely comes without new challenges, and for me that is that I am no longer just responsible for the Dutch finance market, but also for the Belgium finance market, what until then was unfamiliar territory. In addition to my new role, I have been responsible for the Care season for the last 3 years and I will continue to do that. Actually we are currently right in the middle of this unique period. On November 12 the last premiums from the insurance companies came in and for us this is the start of this sales frantic period with the highest peak between Christmas and New Year’s. Due to our extensive preparation throughout the year and the months leading up to the event, we are ready to take on anything that comes our way. The results of this period are dependable of multiple (external) factors and therefor it is tricky to predict the results when it comes down to performance so we have no choice then to wait until the last day of the year, where even in the final minutes before midnight we see sales coming through. We look forward to share our insights and final results in the next sector report. And would you like to give the reader an Awin reading or listening tip? Perhaps you could have guessed it, but I would recommend our readers to read the Finance report. As mentioned, you can find more information on the Belgium and Dutch finance market, including the Autosalon in Belgium, interviews with finance publishers and we share the best practices on how to tap in to influencer marketing within the affiliate channel.